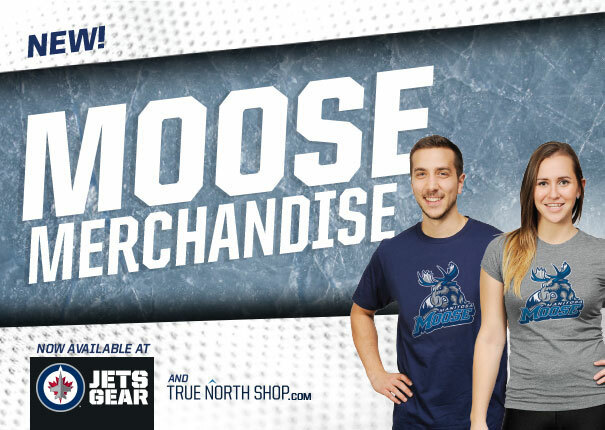 With five locations to serve you, Jets Gear is the best place in Winnipeg to pick up authentic Manitoba Moose merchandise. Holiday Hours: Mon – Sat: 10am to 5pm | Sun CLOSED *Store will close 90 minutes prior to puck drop for all Jets and Moose home games. Location: St. Vital Centre in the London Drugs wing. Holiday Hours: Mon – Sun: 9am to 9pm *Hours during events will vary based on schedule. Please call the store for updated hours. Jets Gear will accept an item for return within 30 days of purchase, providing it is in new condition, tags are still attached, and the appropriate receipt is available. If the receipt is unavailable or if the tags have been removed, an exchange or store credit will be offered to the customer. Management reserves the right to refuse a refund or exchange if the item does not meet the above conditions or if the item has been soiled/damaged in any way. Click here to view the full details of our Return/Exchange Policy.